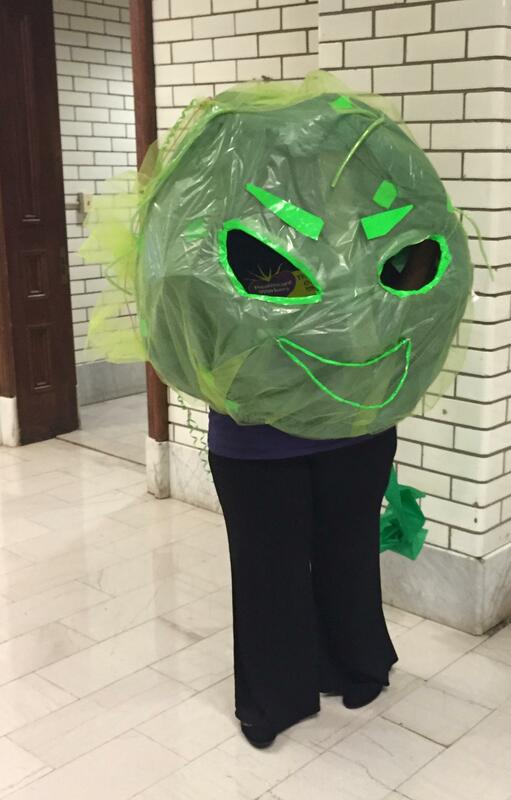 An advocate for paid sick leave walks the halls of the State House dressed as bacteria during the 2016 legislative session. Sen. Mac Middleton proposed the delay to give businesses and government enforcers of the law time to adjust. “Come next week, there’s going to be utter confusion — utter confusion — not only with the employers, local government, not-for-profits, but the employees themselves,” said Middleton, chairman of the Finance Committee, which considered both the original paid leave law and the new delay. The bill faces long odds in the House. It’s unclear if it will make it to the floor for a vote, and if it does, it could be amended. Middleton said the Senate would likely pass whatever version of the bill the House sends back. But there’s also a ticking clock. All of this would need to happen before the sick leave law takes effect on Sunday. A final vote in the Senate is expected no later than Friday.